Don’t we all love the polaroid photo prints and the little space below them to write something? But getting them is such a hassle. You need to carry a separate camera & click the perfect picture at one go. And if there are many people in the group, you’d either have to click many similar pictures, or the picture stays with just one person. Gone are the days when you would have to buy expensive Polaroid cameras, with even costlier film sheets, to get them polaroid feels! 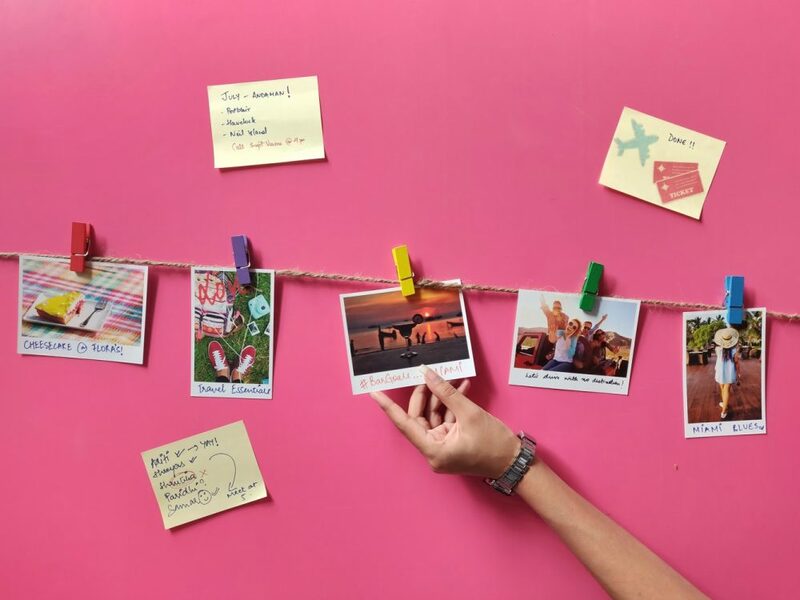 With Pixylz’s Signature range, you can now convert any photo into a polaroid photo from the comfort of your home, and have it delivered to you, at 1/5th the cost of a polaroid! And even better, we’ve got you signatures in 3 different sizes! Time to get creative with your own personalisation idea. 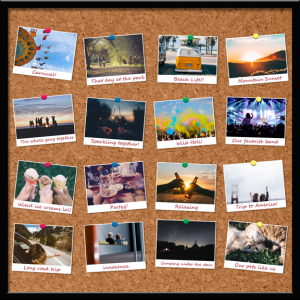 Create a photo collection to gift to your friend on his/her birthday, or maybe as a farewell gift, reminding them of all the great moments you’ve shared together. Write some witty caption for each picture in the space below, and make it an unforgettable gift. A collection of your favorite & most memorable moments with your best friend, serves as a perfect gift. Take your parents on a trip down the memory lane. 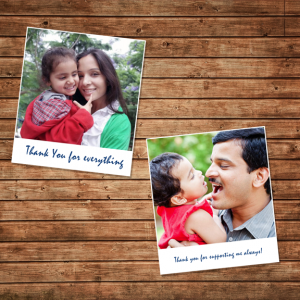 Surprise your parents on Father’s day/Mother’s day with photographs of your childhood with your parents. Transport them back to the time when you could still fit in their laps, write a funny memory about a moment they might not have thought about in a long time, in the caption, and relive the good old days. Your baby pictures are surely going to take your parents on a trip to Nostalgia land. 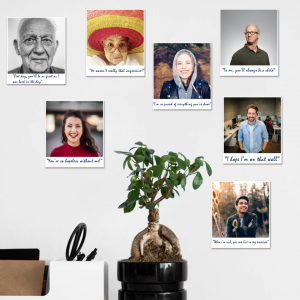 Personalize your workspace with photos of your family and friends. Productivity tip: In the space for description, you can write their favorite quotes, which will remind you of the fact that they’ve always got your back. Photos of family and friends with their quotes can make you feel like they’re there with you. Create a “me corner” at your home, workplace, or wherever you spend a lot of time. 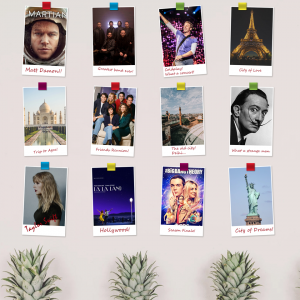 Fill it with pictures of your favorite movies, TV shows, songs, artists, travel destinations and so on. Basically, fill it with pictures of anything that describes YOU and your favorite thing about it. When you’re feeling bored and demotivated, just turn to your creative corner for inspiration. Remember the days when you would decorate a sheet of paper with as many colours, glitter, doodles and paint for your best friend’s birthday, for a greeting card? You might not indulge into all those things now, but a handmade greeting goes a long way, and makes the recipient feel much more special ! 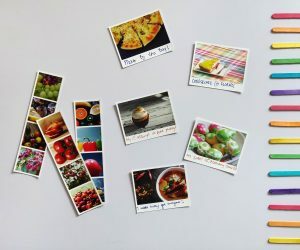 Create simple and meaningful greeting cards, by simply writing heartfelt messages in the space at the bottom of the pictures. Why just Signatures? Pair them up with some other types of prints like Square prints, and unleash your creativity! A colorful combination of Photo Strips & Signatures. So, how are you going to use the Signature prints? Let us know in the comments below!